Hey guys! 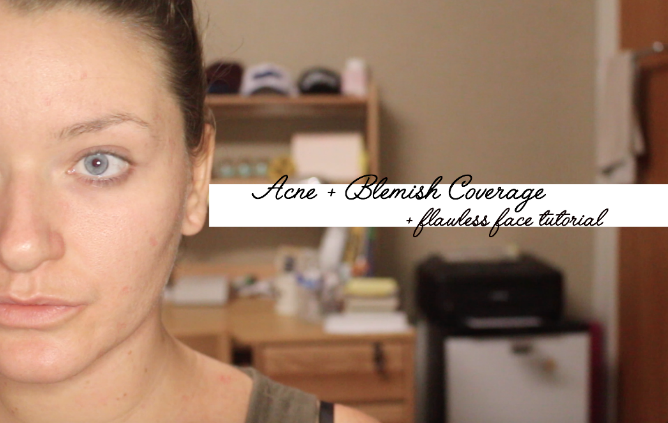 So this is one for those of you that suffer from breakouts which I occasionally do. I used to suffer with Acne in my younger years as a teen and the only thing that cleared it up was time (which is something not everyone wants to hear). I hated having bad skin in school so learnt how to conceal my blemishes pretty quickly. For those of you who don’t suffer with acne/ know little about it please do not comment something silly like ‘If you wear no make-up you wouldn’t have bad skin’ because that is not the case with most acne as most is hormonal. Besides non-comedogenic products won’t block your skin and won’t aggravate it. So yeah, addressing that before it even starts! Let me know what you think of my video or my youtube in general and what kind of video’s you would like to see more of!